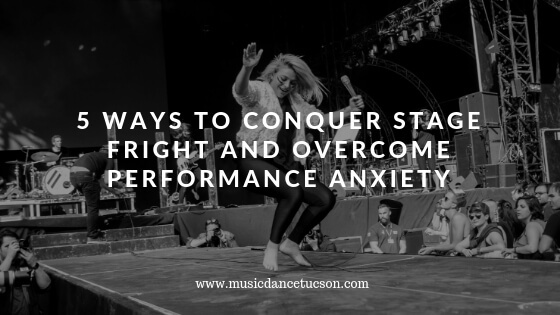 There are many musicians who make a lot of great music but are having issues in coping with stage fright or performance anxiety. This can be frustrating because even the most talented music makers become scared when they get butterflies every time they’d be performing. In this blog, we will be sharing with you some easy ways you can deal with nerves when playing in front of a crowd, big or small. 1. Be aware of your thoughts and try to stick with your goal. These thoughts might shake you up before your performance. Falling into this way of thinking will not help. So, instead of having this kind of thoughts, you should focus on what you want to achieve. Don’t be too hard on yourself. Loosen up. Sometimes, all you’ve got to do is breathe. Anxiety can make us unknowingly out of breath. So before it gets worse, mind on your breathing. Throw all your nervous vibes to a distant spot at the back of the hall. This can be a quite simple trick but it is a powerful way to get rid of anxiety while performing. 4. Rehearse and record yourself. When you find yourself overthinking on how well will your performance be, recording yourself can do the trick. Watching yourself perform can make you feel more at ease as you identify the areas you need to practice on more. 5. Let go of all the tension in your body. Do some relaxation exercise. As mentioned earlier, you need to loosen up. If you want to have a calm mind, each part of your body must be relaxed as well. Here at Music and Dance Academy of Tucson, we have been offering exceptional music instruction to the Tucson community since 1995. We cater to all ages from newborns to many students in their 70’s and 80’s. All our instructions demonstrate passion in teaching and guiding students to be the best musician they can be. It’s easy to take the next step!